In today’s reading, among the other things St. Paul the Apostle is talking about, references the sorrows and persecutions he was suffering (but never was defeated by). The matter of tribulation is a very important one for us all. Who doesn’t face sorrows in their life? Jesus prepared us with these words: “In the world you will have tribulation” (John 16:33). Paul also was preparing those who were becoming members of the Church, in that “We must through many tribulations enter the kingdom of God” (Acts 14:22). It is the universal rule that we are all going to face hardship. Even the best of humanity, and the saints themselves have gone through adversity. Even the Holy Mother of our Lord felt the pain going through her being, like a double-edged sword, as she looked at Him who is her Son and her God suffering on the Cross. It happened exactly as the Righteous Symeon had warned her, when she brought into the temple in Jerusalem the 40-day old holy Infant (see Luke 2:35). As long as we live, we must know that we are going to have sorrows, great and small, depending on each one’s endurance. * “We are hard-pressed on every side, yet not crushed;” (verse 8). The two Greek verbs in this verse, “I am in sorrow” and “I am in sadness”, appear as having the same meaning. But according to the Fathers’ interpretation, Paul makes an important distinction. The sorrows have their origin in external factors: when we are deprived of basic necessities; assaults coming from enemies; from hatred, injustice, insults and so many other things, which originate not only from enemies but also from friends, even from members of our own family. All these things are due to the actions of others. However, the anguish we feel is our own creation, when we let these trials overwhelm us and we surrender to them. This is precisely the crucial point where must become vigilant. This is something on which Paul was successful. He was facing tribulations in a way that did not become the cause of agony and sorrow for him. Not only did he not feel sorrow but on the contrary he was joyful. From the prison in Rome, he writes the following amazing words to the Colossians: “I now rejoice in my sufferings for you” (Colossians 1:24). * “we are perplexed, but not in despair;” Paul the Apostle adds in his Epistle (verse 8). In other words, sometimes we find ourselves in a dead end, but we do not lose heart. We try to find other ways to eliminate and be saved from difficulties. For all the adversities we have to deal with, we can find the proper way of dealing with them with the inspiration of the Holy Spirit. * “persecuted, but not forsaken;” (verse 9). The persecutions, which Paul the Apostle was facing everywhere he went, were frequent. He was beaten with rods, he was stoned, he was taken to the courts, he was put in jail … However, he never lost his courage. He was always feeling Christ’s presence next to him, supporting and strengthening him; Such as in the prison in Philippi where he was wounded, because of the beatings with the rod to which he had been subjected earlier. He was praying and giving glory to God along with Silas who was his companion! God at times performs even miracles in order to protect the people who hope in Him. Wasn’t it with a miracle that God set free Paul and Silas from the prison in Philippi on that night? As these two Apostles were singing hymns to God, a strong earthquake took place, the prison gates were opened and the chains of all prisoners were broken. (see Acts 16:5-26). * “struck down, but not destroyed”, Paul adds in verse 9. Here Paul uses the image of wrestlers, each one of whom tries to strike down his adversary so that he may fall and touch the ground. The Apostle says that we fall down, but we resist and do not lose the fight. 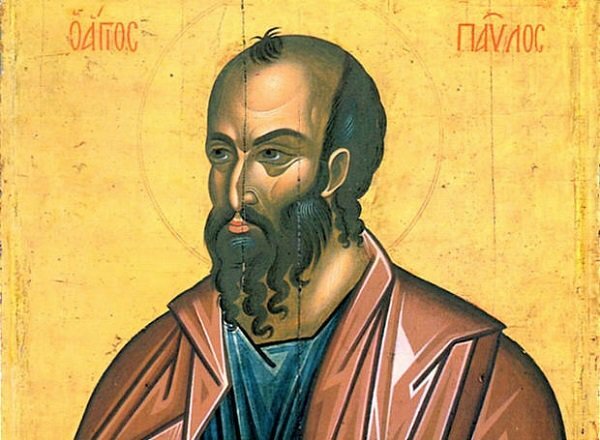 Let St. Paul the Apostle, therefore, be for us the example as to how to face every kind of sorrow caused by any lack of the necessary things in life, enmities, persecutions, injustices, illness and any other causes. Let us face all sad events in this life with courage and faith in our Almighty Lord; with persistent effort and a continuous struggle towards the final victory; with patience and dynamic prayer. Let us not forget also that God will not allow us to suffer sorrows beyond what we are able to endure, but rather, “with the temptation He will also make the way of escape, so that we may be able to bear it.” (see 1st Corinthians 10:13).